The FICA employee’s share for 2019 is 6.2% of gross compensation on the first $132,900 of gross wages (http://www.ssa.gov/news/press/factsheets/colafacts2019.pdf). The employer share continues at 6.2% for calendar year 2019. At federal and state levels, there continue to be changes in minimum wage rates. Massachusetts minimum wage for eligible employees on January 1, 2019 is $12 per hour. In the other New England states, minimum wage rates for 2019 are as follows: CT= remains at $10.10, ME= $11.00 (an increase of $1.00); NH = remains at $7.25 (same as Federal); RI = $10.50 (a $0.40 increase); and VT = $10.78 (a $0.28 increase). The Federal Minimum Wage remains at $7.25 per hour despite continued campaigns by service employees and worker advocacy groups. By Executive Order No. 13658, the minimum wage for Federal contractors was raised as of 1/1/19 to $10.60 per hour (refer to: http://www.dol.gov/whd/govcontracts). HR Insourcing will continue to watch for relevant changes. 2019 Merit Budget increase projection is 3.0 – 3.2% (per Beverly, MA-based The Survey Group, 10/11/18). 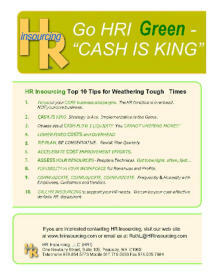 If you have any questions about this tip or any other human resource issues, send your request to RuthL@hrinsourcing.com or call (978) 854-5776. If you have not yet issued your 2019 Holiday schedule, we support our client companies in establishing this and communicating it to all employees as early in the 4th quarter of the previous year as possible. The Massachusetts Secretary of State holiday guidelines can be found at www.sec.state.ma.us/cis/cispdf/ma_legal_holiday.pdf which provides a 3-year MA Legal Holidays schedule for 2019, 2020, 2021. 1. Job descriptions provide an opportunity to clearly communicate your company direction and they tell the employee where he or she fits inside of the big picture. Whether you're a small business or a large, multi-site organization, well-written job descriptions will help you align employee direction. Alignment of the people you employ with your goals, vision, and mission spells success for your organization. As a leader, you assure the inter-functioning of all the different positions and roles needed to get the job done for the customer. 2. Job descriptions set clear expectations for what you expect from people. According to Ferdinand Fournies in Why don't employees do what they are supposed to do and what to do about it, this is the first place to look if people aren't doing what you want them to do. He says you need to make certain that they clearly understand your expectations. This understanding starts with the job description. 3. Job descriptions help you cover all your legal bases. As an example, for compliance with the Americans With Disabilities Act (ADA), you'll want to make certain the description of the physical requirements of the job is accurate. 4. Whether you're recruiting new employees or posting jobs for internal applicants, job descriptions tell the candidate exactly what you want in your selected person. Clear job descriptions can help you select your preferred candidates and address the issues and questions of those people who were not selected. 5. Well-written job descriptions help organization employees, who must work with the person hired, understand the boundaries of the person's responsibilities. People who have been involved in the hiring process are more likely to support the success of the new employee or promoted coworker. Developing job descriptions is an easy way to involve people in your organization's success. Five Warnings About Job Descriptions. You can use these ideas to identify the negative aspects of job descriptions - and turn them into positives. 1. Job descriptions become dated as soon as you write them in a fast-paced, changing, customer-driven work environment. 2. Make certain job descriptions have enough flexibility so individuals can "work outside of the box." 3. Poorly-written job descriptions can serve as evidence of wrong-doing or wrong-telling in a wrongful termination lawsuit. 4. For effectiveness, you must regularly look at and use job descriptions as part of your day-to-day work. 5. Job descriptions that sit unused in a drawer, or worse, filed in the HR office, are a waste of time; they must be integral in your hiring process. Employees are the heart and soul of your business, the engine that makes the business run. Here are a few guidelines for thinking about your most important assets. 1. Choose the right people to start with - even as the market continues to tighten, it is critical to get the right people from the start. Your people decisions have everything to do with fulfilling your business objectives and building a sustaining culture one hire at a time. 2. Motivate employees to spell business success - if you want quality employees, your company must be the same caliber. Treat your employees with respect. When they feel valued, the service they provide your customers will be outstanding and that contributes to the bottom line. 3. Be fair - if you determine an employee is in the wrong position, address it. 4. Foster employee leadership and flexibility- when the work environment is open for all employees to offer ideas and suggestions, this sparks creativity and business success. 5. Hire star players - "A players hire A players, B players hire C players, C players hire duds" enough said. Hire "A" players. 6. Let employees change it up now and again - provide your employees opportunities to develop "within" your company, gaining new experiences, knowledge and skills. 7. 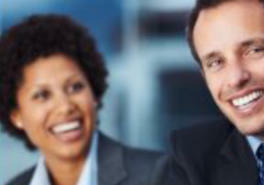 Communicate - your employees want to know where the company is going and how they can be a part of its success. Talk to your people, get their feedback and act on the information you receive. & building a stronger company together. building a stronger company together.